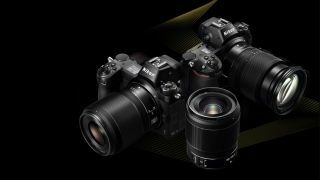 Following the announcement of the Nikkor Z 14-30mm f/4 S at CES 2019, Nikon has updated its lens roadmap for its full-frame mirrorless Z System. As well as the 14-30mm f/4, 2019 will also now see Nikon launch a 24mm f/1.8 lens that was initially scheduled for a 2020 release. We can also expect to see 85mm f/1.8, 24-70mm f/2.8 and 70-200mm f/2.8 optics, as well as the mighty 58mm f/0.95 Noct that we had expected would be launched at CES. In 2020, we should see a 20mm f/1.8 (which was originally planned to be released this year), a 50mm f/1.2 and a 14-28mm f/2.8, as well as four as-yet-unspecified lenses. 2021 has seven lenses pencilled in for launch (down from eight originally), although Nikon is yet to reveal what these will be.